HTC has been stepping its smartphone game for the past few years and now is considered along Samsung and Apple for the quality phones they build. 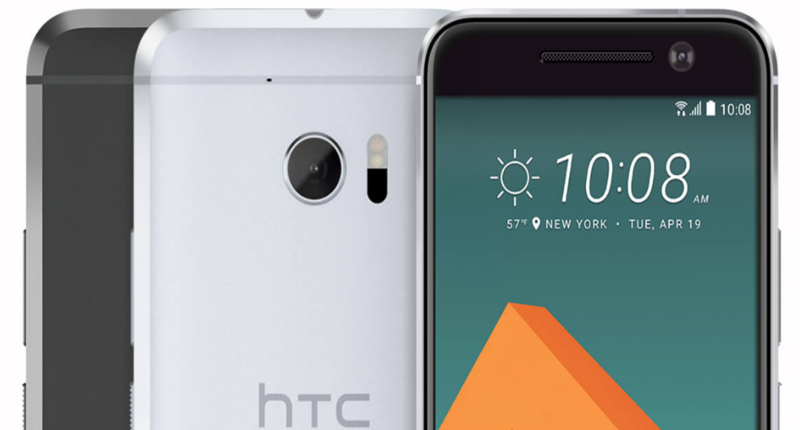 Released May, 2016, the HTC 10 lives up to the modern standards. Let’s take a deeper look at how HTC’s newest flagship performs. All metal, all HTC. Since the revolutionary HTC One(M7), the company has decided to stick to an all metal build for all its flagship phones. No exception is the 10. Polished and dual textured, the metal body feels premium to the touch. The design is identical to the previous models, which is not necessarily a bad thing. Its slightly less rounded off at the back compared to last year’s M9. This makes it easier to hold and the fear of dropping is ever-present although not overwhelming. People have become accustomed to the trade-offs of an all metal body anyways. The phone is 9mm thick, which is just fine. Not bulky, not cheap. The buttons have allegedly been improved in terms of tactility and feedback which is great. It’s the little things that make the difference these days more than anything. The phone packs a beautiful 5.2 inch Quad HD(2560*1440 pixels) panel. It’s a Super LCD 5 panel. Bright, vibrant and pixel dense. It has a whopping 564 pixels per inch pixel density which is bonkers even in 2016. Your eyes don’t stand a chance in spotting a pixel. Although maybe considered resource intensive, the display is handled quiet harmoniously by the internals of the phone. Battery life doesn’t take much of a hit as a result. Everything is smooth and stutter-free complementing the design and the essence of the phone. Bear in mind, the display is slightly curved, so swiping will generally be natural. When it comes to internals, there is nothing to be surprised about as HTC has opted for the classic flagship strategy. A 64 bit Qualcomm Snapdragon 820, 4 GB RAM and Adreno 530 GPU leave no room for concern here. The latest and greatest the tech world has to offer. The internals are as solid as the externals. Rest assured the 10 will handle anything and everything you throw at it. Even water. Well, not too much water. The HTC has IP53 water and dust resistance and it;s not too much but it’s better than nothing. Perhaps a desirable feature of the HTC 10 is expandable storage. It’s great to see phone makers still care to add this facility considering we all need it so bad. This feature adds a bit of upgradability and just goes a little way to ensure you won’t need to run into situations where you need to delete some memories so that you can make way for newer memories. Its comes with 32 GB (23GB usable) internal storage anyways, so if that’s all you need then so be it. Just know that the phone can handle up to 2 TB of memory. A finger print scanner is predictably included and the sensor has been reported to be slightly slower than touch-id and Samsung sensors although the difference is no deal breaker. HTC’s Boom Sound left a lasting impression when it was introduced with the One. Quite rightly so. The front facing speakers were nothing like before. They were spectacular. It seems HTC wants to make it even better. Although they might have made less sense than sound. The new speaker system is no longer front facing, Well, not all of it. There is a driver in the front and another in the bottom of the phone and they work surprisingly well. You won’t accidentally muffle the sound even though it may seem easy to do so. With headphones plugged in, the experience is, maybe, even better. In association with Dolby, HTC has produced one heck of an audio system. The power heavy users will sing in praise of the HTC. The 3000 mAh battery will almost never last you less than a day and that’s fantastic. Reviewers across the internet have praised the 10’s battery. It’s the result of sensible use of resources and a light user-friendly UI. The features don’t out weight the usability. No complaints in this department. The software department is where change was needed and HTC has listened. HTC has made sure it doesn’t duplicate Google’s apps and add bloatware. They also refined their own Sense UI. It comes with Sense 6 out of the box. Now its much simpler and user friendly. Not quite Vanilla android, but close. Still they are trying to add features to make the user experience unique and in doing so have come a short distance. The new theme eco system seems to have worked out and the store is now revamped with new themes every now and then, all in an effort to make your phone, truly, YOURS. But, you could have done that in one way or another anyways. In general, the software is lighter and has significantly less bloatware. Now let’s come to the camera. People are in doubt on what to rate it. Some say its mediocre at best. Some say its poor. Some say it’s even better than the iPhone 6S’s sensor. So I’ll leave that to taste. It’s a 12MP sensor with HTC’s UltraPixel 2 technology. A dual tone flash as well. The front camera has 5 MP. Both have Optical Image stabilization. It’s definitely not horrible and it takes great selfies, if that’s your cup of tea. So it’s advised you go and check some image samples for a better first person experience. In the video department its up there in terms of features: 4K recording, 120fps slo-mo at 720p. Still not iPhone level. That offers 240fps at the resolution and 120 is okay. So here’s the verdict. The HTC 10 is great. And that’s it. Nothing special. If you want a solid 700-dollar phone, go for it. Won’t disappoint. It does the important things really well and it does the small things better than most phones in the market. The camera is perhaps the only low scorer of this phone. It’s a very good phone and I would recommend you consider giving it a thought if you go phone shopping anytime soon.